SEOUL -- U.S. 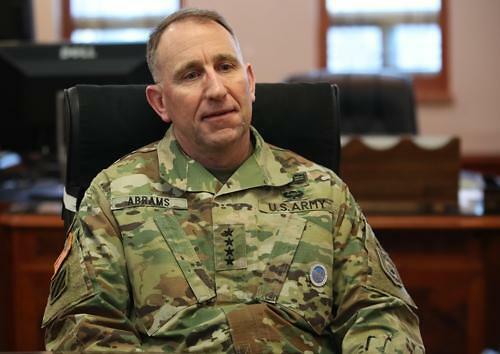 Forces Korea (USFK) Commander General Vincent Brooks called on North Korea on Wednesday to take "earnest and serious" steps toward denuclearization, citing distrust and misperception as major hurdles to ongoing peace efforts. 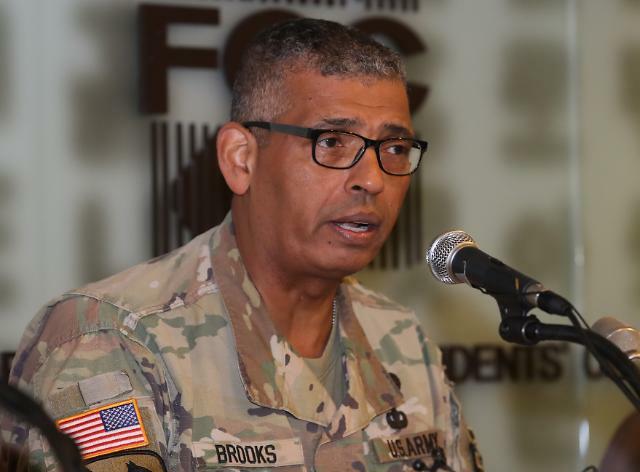 During a press conference, Brooks also pointed out the need for continued international pressure on the communist regime to ensure it follows through on its avowed commitment to the complete denuclearization of the peninsula. "We still have to see earnest actions being taken on those matters of great concern like denuclearization. 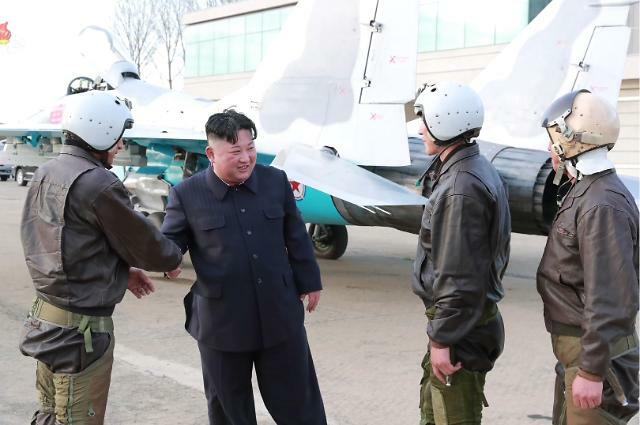 There is still a need for continued pressure so that there is not a reason for North Korea to back up," the commander said. "They've already taken very important steps toward peace, but these steps must be followed by more serious steps on denuclearization, as well as trust-building. ... The international pressure that helps create this must continue," he added. Brooks went on to say, "Actions to reduce tension can be done concurrently with broader international pressure." 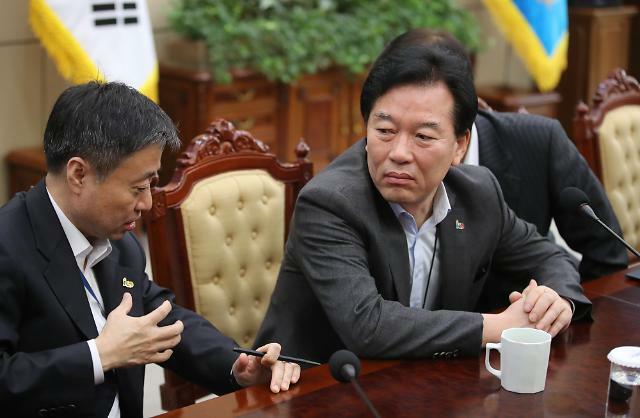 His remarks came amid concerns that Seoul's push for cross-border exchanges, such as the planned opening of an inter-Korean liaison office in the North's border city of Kaesong, could attenuate or unravel the international sanctions regime. Seoul's cross-border engagement coincides with reports that the U.S. and the North remain apart over the sequence of the denuclearization process, with the latter calling for the political declaration of a formal end to the 1950-53 Korean War. Despite ongoing diplomacy, Brooks still takes the North's security challenge seriously. "The danger is greater than ever. 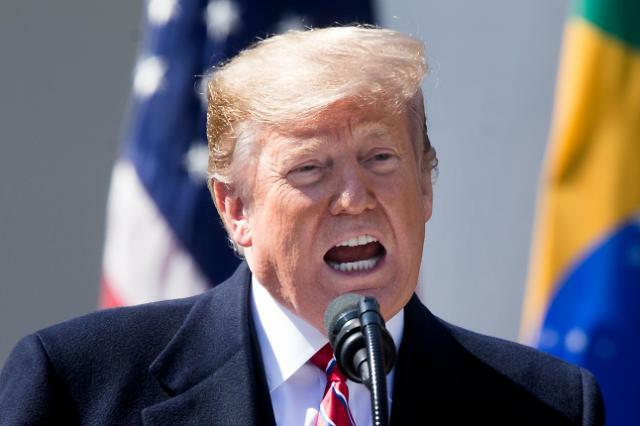 It is not the same, now that there is a nuclear threat that presents an intercontinental threat that can range countries throughout the world ... all of the alliances of the U.S. ... make it a very different circumstance with a higher potential, higher cost for miscalculation," he said. The top officer cast distrust as a major obstacle to ongoing peace efforts. "Distrust is still a dominant factor in the situation. Misperception is yet another where actions taken by one party are not understood the way they were intended to be by the actor when the receiver sees it," he said. "The potential for the successful outcome through earnest commitment by all parties involved if they can work through these same factors of distrust and misperception is relatively high. As a result, I think there is cause for cautious optimism," he added.